Zalokar Throws Down a 2:37 to Win Berlin Marathon! 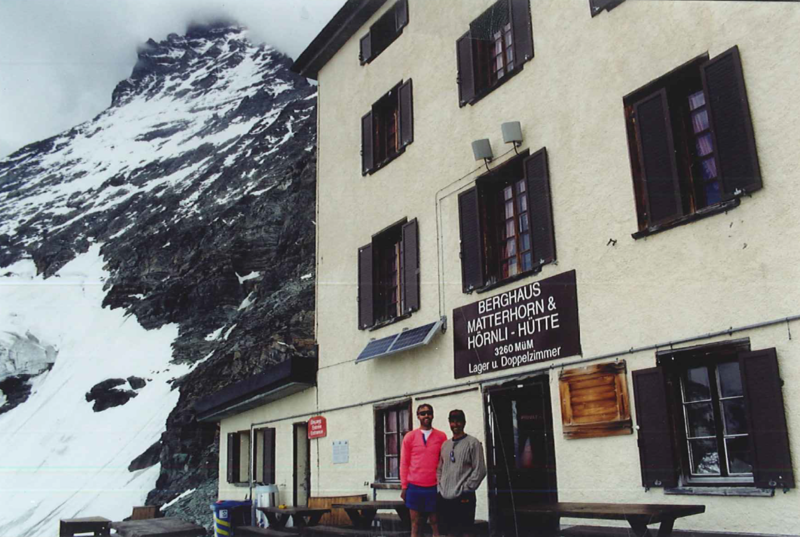 In the summer of 1997, I was on my way to the Alps with two climbing buddies, Sean and Dave. We had a plan to climb three of Europe’s most iconic mountains: Mont Blanc, Monte Rosa, and the Matterhorn. This last one is perhaps the best-known and most visually striking mountain in the world. 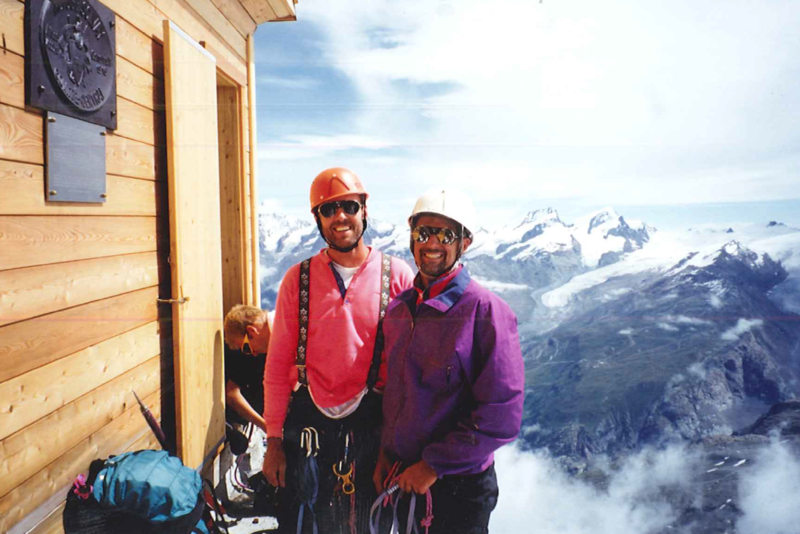 All climbers dream of one day climbing the Matterhorn, and we were on our way to make that dream a reality. Our plan was to climb Mont Blanc first, then move on to Monte Rosa, and save the biggest prize, the Matterhorn, for last. Before we left the US, Sean had faxed me an article from USA Today about what he called a “situation in the Alps”. 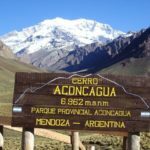 According to the article, nearly a hundred climbers had died on this mountain range in 1997 alone; because of the rash of recent deaths, officials were considering instituting mandatory safety rules and requiring licenses for anyone who wanted to climb. Sean underlined this part of the article and wrote a note to me in the margin: “You’d better get your license so we can go climbing”. Undaunted, I put on my best James Bond impression and responded, “Fred Zalokar: licensed to climb”. I was up for the challenge, and I knew Sean would be, too. Dave, on the other hand… Well, Dave was a novice. Sean and I decided not to share the USA Today piece with him. Off the three of us went, looking for adventure in Switzerland, but when we got to Geneva, our climbing equipment wasn’t there. Somehow, Swiss Air had a mix-up with our luggage, and it was going to arrive a day late. We were not happy at the thought of losing a day off our itinerary. The three of us liked to be in constant motion; the plan had been to arrive, climb three mountains in quick succession, and then leave as quickly as we had come. We hadn’t even booked hotel reservations in advance. Still, there wasn’t much we could do, so we got our rental car, drove to Chamonix, and found a hotel. We called Swiss Air to tell them where we were staying, and they promised to get our climbing gear to us as soon as it arrived. Then, we settled in and prepared ourselves for a long, stifling wait. As it turned out, the wait was not long at all. At two o’clock the following morning, someone started pounding on our hotel door. Groggy and disoriented, I went to answer, only to discover that our gear had arrived and that Swiss Air had driven it all the way out to Chamonix for us. Kudos to them! Our plan was back on track. The next day, we would climb. 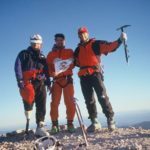 On July 27th, 1997, the three of us summited Mont Blanc, the highest mountain in the Alps. 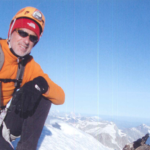 Dave, new to the climbing scene, decided he’d had enough, but on July 30th, Sean and I summited the Dufourspitze, the highest peak of Monte Rosa. With two mountains down and no issues so far, it was time to turn our attention to the Matterhorn. When we arrived, conditions on the mountain had been deemed so dangerous that even the guides were not climbing. Our thought: Great! It meant there would be fewer people on the mountain. We woke up the morning of July 31st, ready to take on the Matterhorn. The only problem—really, an insignificant detail—was that it was snowing sideways, and the forecast promised no change in the weather. Frustrated and not actually wanting to die despite our bravado, Sean and I descended. We had no plan, and to attempt the Matterhorn in that kind of weather would just have been stupid. Instead, we went to Montreux and turned north, ending up at the hilltop town of Gruyere. By this time, it was August 1st, Swiss National Day, so we partied with the Swiss! A lot of fireworks, a lot of alcohol, and (go figure) a lot of Shakespeare. It was a surprising, fun time, and it almost made up for us getting weathered off the Matterhorn. On the morning of August 2nd, the weather report looked more favorable. We weren’t scheduled to fly home until August 4th, so after a brief conference, Sean and I decided to drive back to the town of Zermatt and attack the Matterhorn again. 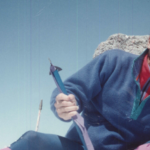 I don’t know what Dave thought of us, our breakneck pace, or our determination to get all three summits under our belt; what I do know is that he never came on another climbing trip with us again. We left him down in Zermatt as we ascended to the alpine hut at the Matterhorn’s base and prepared to climb. The morning of August 3rd, the weather was good. When we started our climb, there were probably half a dozen people on the mountain; on a normal day, there would have been at least a hundred. Although the weather had improved, it was still far from ideal, and we had trouble finding our route due to reduced visibility. 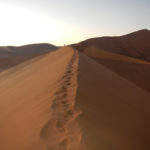 We got off-track and had to retrace our steps numerous times, and as a result, we lost a lot of time. When finally reached the hut stationed at 4000 meters’ altitude (near the summit), it was getting late. We had to make a decision. We could keep climbing and hope to summit, but we would have to spend the night on the mountain and miss our plane the next morning. Or, we could go down. Since Dave was still waiting for us down in Zermatt, and since we were his only way of getting to the airport and back to the US, we reluctantly decided to descend. The highest point we reached on the Matterhorn was 4000 meters. By the time we arrived at the lower hut, it was very late. We raced to the top of the tram that runs between Zermatt and the base of the mountain, but the tram had already closed for the night. It was starting to get dark. And so, of course, we started running down the mountain. I ran down as fast as I could, bushwhacking all the way. Sean fell back a bit, but that was normal for the two of us; I knew he would meet me at the car. Before I was halfway down, it was completely dark out, but the weather had cleared, so I just focused on the lights of Zermatt and kept running. It took me a couple of hours to get to the town, and when I did finally arrive, I couldn’t find Dave. Exhausted, I decided to head for the car. Cars aren’t allowed in Zermatt, so we had parked it in the nearby town of Tasch and taken the train in. I ran to the train station, but—no surprise—the trains had stopped running for the night. So I found the road to Tasch and started heading there on foot. Finally, after running practically all night, I got to the car. Dave was still nowhere to be seen. At this point, I was completely fried and barely able to think straight. I couldn’t really worry about where Dave was; I just had to trust that he and Sean would find me. I moved the car to the front of the parking lot, closer to the road, and then—with the motor still running—I passed out from exhaustion. The next thing I knew, Sean and Dave were knocking frantically on the window. I was delighted to see them, but they were in less of a good mood. When Sean had gotten to Zermatt, he’d run into Dave. The two of them had gone to where the car was originally parked, not realizing that I (being the helpful, thoughtful, generous, kind creature that I am) had moved it for them. When the car wasn’t where it was supposed to be, Sean thought I had left them and gone to the airport on my own. Needless to say, he was not amused. To this day, I still can’t believe he thought I would ever leave him, or anyone, for that matter, in the middle of the night in Switzerland! Regardless, he did think that. Stranded in a Swiss parking lot and desperate for help, they remembered seeing a car with the motor running close to the road. Lo and behold, when they went to ask the driver for help, they discovered me! Reunited, and with a plane to catch in a matter of mere hours, we started driving to the airport in Geneva. I was just too tired to drive, so after a few kilometers, I pulled over to the side of the road and let Dave take my place in the driver’s seat. The next thing I remember is arriving at the airport, exactly two hours before our flight to the US was set to depart. Plenty of time; no sweat. 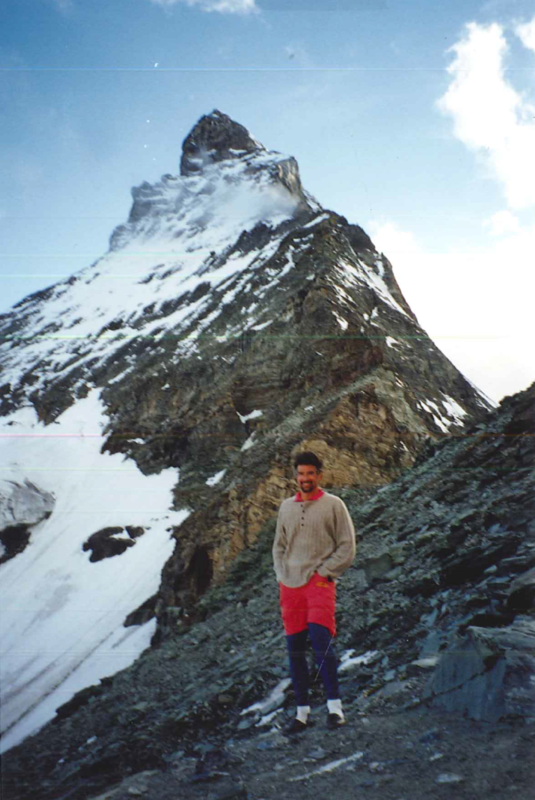 At that point the Matterhorn was one of the few mountains I had ever attempted but not summitted. I’m not a fan of having unfinished business. Sean went back and attempted it again, a few years later, with his brother Chris and his friend Jim. Once again, though, they were unsuccessful. Fast forward to the summer of 2009. I was on a family vacation with my wife, Deb, and our son, Ian, who was thirteen years old at the time. We flew in and out of Milan and rented a car. The plan was to climb two high points: Monte Titano in San Marino (as a family) and the Grossglockner in Austria (with just me and Ian). We also planned to spend some time in Bled, Slovenia, as well as Interlaken and Zermatt in Switzerland, finishing up at Lake Como in Italy. We arrived in Zermatt at noon on August 16th, and the first thing I said was, “Let’s go to the Guide Services Building and see what the Matterhorn situation is.” Somehow, my family wasn’t surprised. 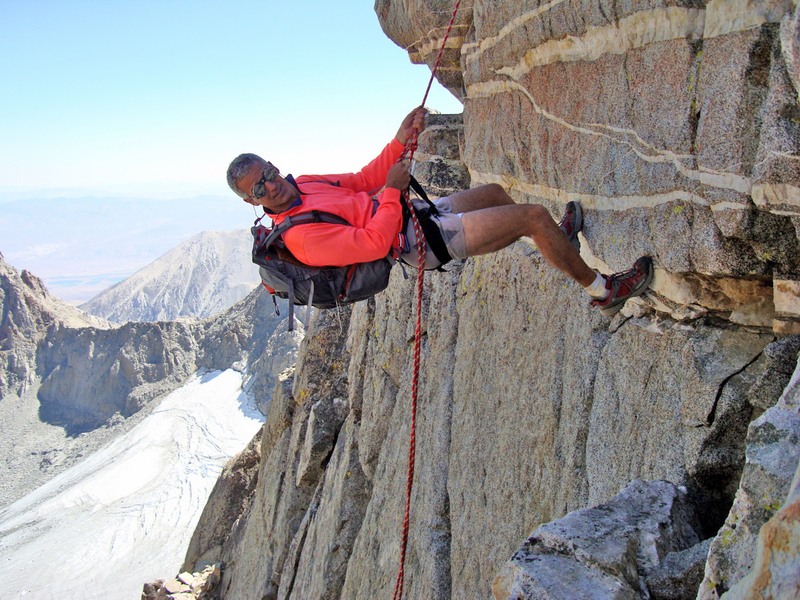 At Guide Services, I inquired about the possibility of organizing a Matterhorn climb. The clerk explained that the process normally takes a few days, and that a guide would have to take me on a practice climb in order to check my skills and make sure I was acclimatized to the altitude before attempting the Matterhorn. In response, I told her that I was in Zermatt for two nights, that I was acclimatized since I had just summitted the Grossglockner, that my skills were solid, and I that I was hiring a guide primarily for route-finding. She said that it was most likely not going to be possible, but that she would make some calls & call me if anything was available. I didn’t have a phone, and I didn’t have a hotel, but I told her I’d get a hotel and check back with her. It took about an hour to get a hotel room, and as soon as we were settled, we went back to the Guide Services Building to let the woman know where we were staying. She had managed to arrange a guide for me for the next day. However, I had to get to the alpine hut at the mountain’s base by dinner time. I would meet my guide, Haraud, at dinner, and we would plan the climb. I paid my fee, got my receipt, and had a few hours to organize my gear. I had all the proper clothes. 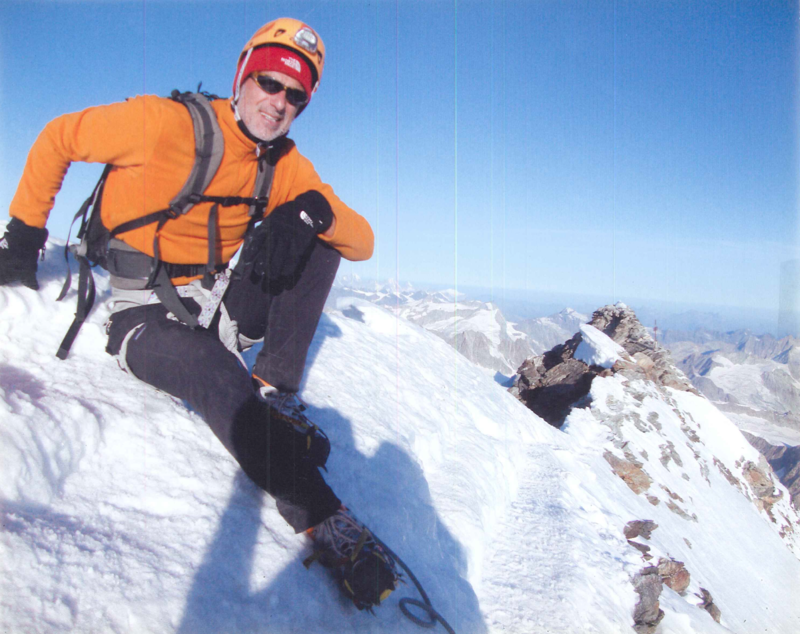 I rented a helmet, harness & crampons, as I had at the Grossglockner. There were no boots to rent, so I bought a new pair. Normally, it’s a bad idea to attempt a serious climb in a brand-new pair of boots, because footwear that hasn’t been broken in can cause serious blisters, but I had no other option and I knew I could make it work. I packed for my climb back at the hotel, and Deb and Ian took the tram to the base of the mountain with me. Rather than hiking the rest of the way up to the hut, they took the tram back down right away, so they wouldn’t have to risk missing the last ride and walking down to Zermatt like I did in 1997! I hiked to the hut, had dinner, and met Haraud. There were about thirty climbers and guides at the hut, one guide for each climber. After dinner, the guides checked their clients’ equipment and edited what they were going to carry in their packs on the climb. This largely consisted of them going through their clients’ packs and throwing out all of the equipment that they deemed excessive and unnecessary. I was the only one who didn’t have anything taken out, as I tend to pack light. It was pretty funny to watch the clients trying to negotiate with their guides over what they could and couldn’t carry; many of them tried to insist on carrying extra gear, even though the guides repeatedly explained that this gear was extraneous and would only add weight to their packs and serve to slow them down. Haraud did look a little skeptical when he saw my boots. He turned to me and asked, “Are these new?” I looked at him, nodded, and said, “Yes. Trust me, it won’t be a problem.” No further discussion was needed. We arranged our start time for the next morning, then went to sleep. 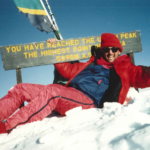 Fred Zalokar: Licensed to Climb. TRIP REPORT: A NEW ADVENTURE EVERY MONTH! 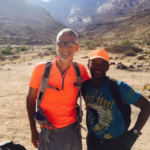 Stories of my climbs and runs through out the world, join me on my journeys! 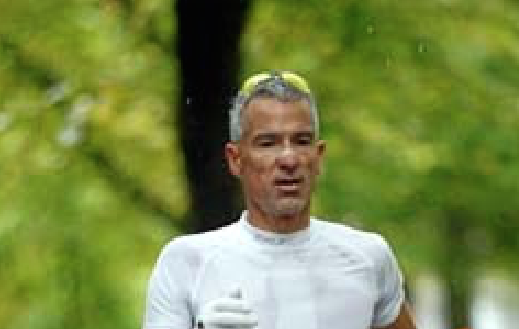 With a win in April in London, Fred Zalokar has now won his age group at five out of the six World Marathon Majors. For many years, Fred Zalokar, 55, of Reno, Nevada, didn’t have much interest in running road marathons. He ran 100-mile races and climbed mountains. 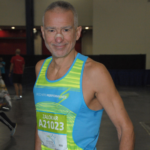 When his wife, Deb, tried to talk him into running each of the World Marathon Majors races with her, he told her she’d have to do it solo.But Zalokar eventually relented, and between 2010 and 2012, he ran the five original World Marathon Majors races: Berlin, Boston, Chicago, London, and New York City. 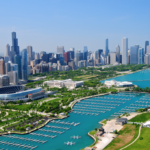 Zalokar won his 50–54 age group in Berlin (2:37:03 in 2010), Boston (2:34:46 in 2011, his personal best), and Chicago (2:35:10 in 2012).“I thought I was done, because I ran all five,” Zalokar told Runner’s World by phone. 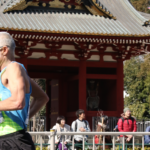 “In the back of my mind, I was thinking, ‘Maybe when I turn the next age group, I’ll try to run the two I didn’t [win].’ Then, all of a sudden, Tokyo pops up, and I go, ‘Oh damn, I guess I’ve got to go to Tokyo.’”Tokyo was added to the World Marathon Majors in 2013, and Zalokar ran it the following year. Despite having to start behind many slower runners and taking eight miles to get out of traffic, Zalokar finished second in his age group there in 2:40:35. In November of 2015, after moving up an age group, Zalokar repeated New York City and won his age group in 2:43:10. 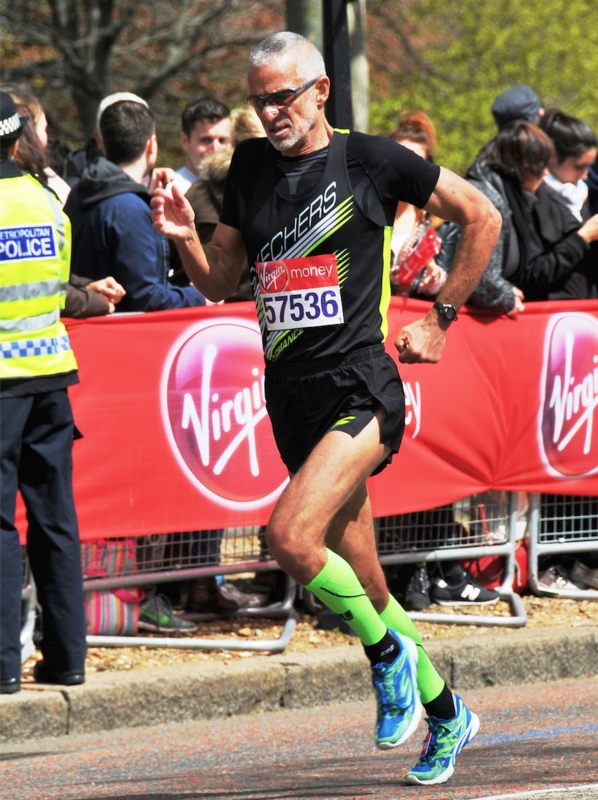 On April 24, he returned to London and won the 55–59 age group in 2:39:50, bringing him to wins at five out of the six majors. 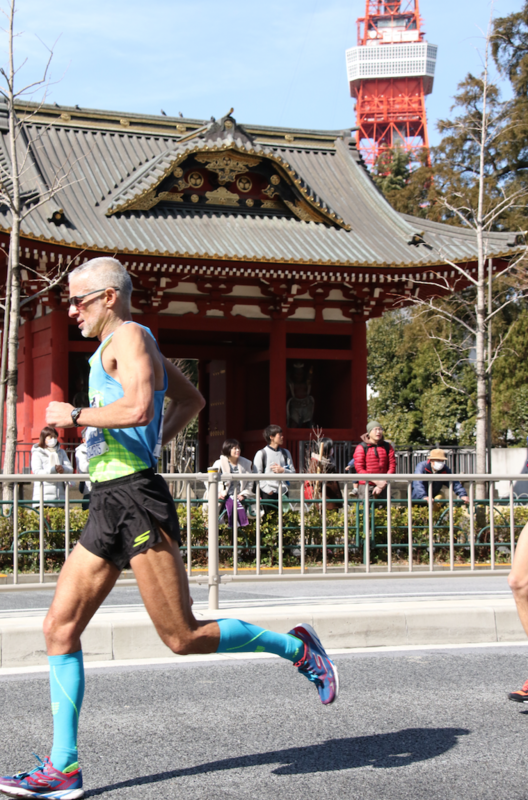 Gaining entry into Tokyo isn’t easy, but if Zalokar can earn a spot in the 2017 race, to be held February 26, he hopes to complete a sweep of age-group titles. 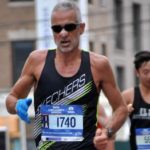 Zalokar, who will turn 56 on May 27, is also interested in taking a crack at Norm Green’s American marathon record for 55–59 year olds, which is 2:33:49, and would require a lifetime PR. Although he’s been a distance runner since he was in his 20s, until recently Zalokar’s focus lay elsewhere. Zalokar “collects countries,” and he’s been to 119 of them so far, including the highest point in 63 of those countries. He plans to hit more high points in Europe this summer. But now he simultaneously focuses on running well in the marathon. For Zalokar, that has meant high mileage—he averaged 150 miles per week over a seven- to eight-week stretch leading up to London, with a high of 162 miles—and just as important, keeping his weight down. Zalokar is six feet tall, and he has been since sixth grade. In high school, his primary athletic focus was football. He also wrestled for one season and ran track, but his longest event at the time was 440 yards. 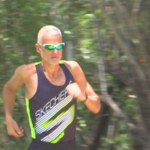 He didn’t become an endurance athlete until he moved to the Reno area in the mid 1980s. Zalokar’s high weight was around 230 pounds, but now he weighs in around 145 and credits that weight loss for his faster times in recent years. Zalokar said he’s not fanatical about what he eats, but he tries to eat well and has to be vigilant. “People look at me now and are like, ‘Oh, you’re just naturally skinny,’ and no, [working at it] is a constant for me. But it feeds on itself. When you do well, it’s positive reinforcement,” Zalokar said. 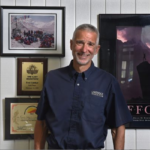 Zalokar has been the general manager of the Lakeridge Tennis Club, a multipurpose fitness facility in Reno, for the past 30 years. In order to squeeze his training into his 50-hour work weeks (when he’s not traveling), Zalokar usually starts his day by 3:30 a.m. at the latest. Six out of seven days, he does his first run of the day on the treadmill at his workplace, and he is at his desk by 6:00 or 6:30. He takes a two-hour lunch break to run again, this time outdoors. Zalokar works out four to five hours per day most days. In addition to running, he lifts weights, stretches, and does Pilates. He saves his social life for the weekends and the runs he does with training partners, most of whom are at least 20 years younger than he is. Zalokar is usually in bed by 7:30 or 8:00, so he can begin the routine again the next day. Regardless of whatever else Zalokar accomplishes, he’s thankful for his longevity and the fact that he’s still able to run at a high level. It took Reno’s Fred Zalokar only 2 hours, 45 minutes, 42 seconds to run the Tokyo Marathon, but he had to wait 11 days to see if he became the first person to swept the six World Marathon Majors. On Wednesday, he found out that he did make history. Zalokar’s time, while a little slower than he hoped, still topped the 55-59 age group, giving him titles in all six world majors, the first person to pick up age-group wins in each of those events. “I am overjoyed to work so hard and finally check it off,” said Zalokar, who was featured in the RGJ prior to the race. Tokyo is the newest addition to the world marathon circuit and not quite as technologically advanced as the others. So, after Zalokar finished the race Feb. 25, he had to wait until Tokyo posted the age-group results. He waited … and waited … and waited … until they were finally posted Wednesday with him on top. “If I told you what I really think about waiting this long for the results, it probably won’t be printable,” Zalokar joked. 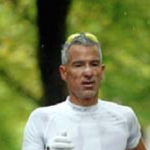 Originally an ultra-marathoner, Zalokar decided to attempt to win all five majors titles (Tokyo wasn’t an official major at the time) when he turned 50 after his wife, Deb, asked him to run the Boston Marathon with her. He won at Berlin in 2010, Boston in 2011, Chicago in 2012, New York in 2015 and London in 2016. The only major title that had eluded him was Tokyo, where Zalokar placed second in 2014. Zalokar actually clocked a better time in 2014 than he did this year, running a 2:40.35 in his first attempt. But a new course added to the increased time and he was able to edge his closest age-group competitor Satoru Narabe of Tokyo. Zalokar finished 606th out of all finishers. “I didn’t have one of my best races, but it was enough to win by less than a minute,” Zalokar said. With the world major marathon sweep complete, Zalokar said he will move on to other challenges. 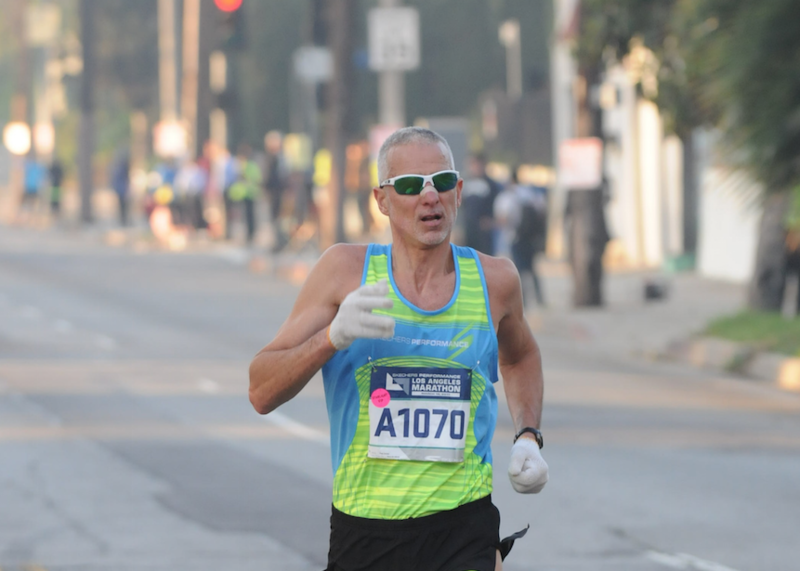 His next race is the Los Angeles Marathon on March 19 before the national championship half marathon on May 7. But with his latest goal achieved – and unmatched by anybody else – Zalokar can rest easy for a couple of days. 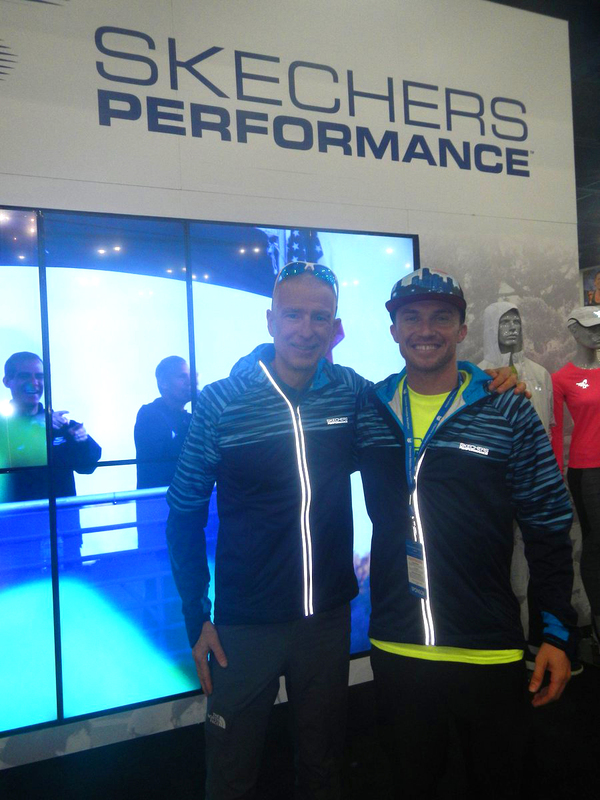 Fred Zalokar won the 55–59 division in Tokyo, completing a World Marathon Majors quest that began in 2010. 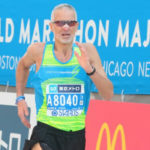 With his age group victory at the Tokyo Marathon on February 25, Fred Zalokar, 56, of Reno, Nevada, is thought to be the first runner ever to win his age group at all six World Marathon Majors races—Tokyo, Boston, London, Berlin, Chicago, and New York City. That left him with one more race, Tokyo, to complete the sweep. Zalokar’s training this winter went well and he felt fit and ready for the challenge. He was hoping to win his age group and run faster than 2:40. But he didn’t feel at his best during the race. Zalokar reached halfway in 1:18, but he was slowing each 5K. When one of the elite female runners passed him in the 25th mile, he tried to key off her. Zalokar believed his 2:45 was likely good enough for the win. But age-group results took 11 days to be released. “That was a tough wait to find out whether I won,” he wrote. 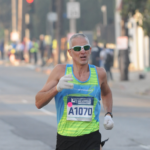 Three weeks after Tokyo, Zalokar was on the starting line of the Los Angeles Marathon, where he successfully defended his 2016 age-group title with a 2:49:10 win in the 55–59 division. Two high-level marathon efforts in the span of three weeks was a test, and Zalokar said he’s now looking forward to focusing on shorter events. Next up is the May 7 Orange County Half Marathon, which serves as the USATF masters national championship at the distance. “I’m looking forward to running more masters championship races in the coming years and playing around with different distances,” Zalokar wrote. 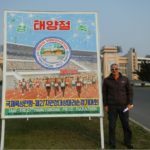 But he is not abandoning the full marathon completely or backing down from his high-mileage training, which reaches to about 150 miles per week at its peak. 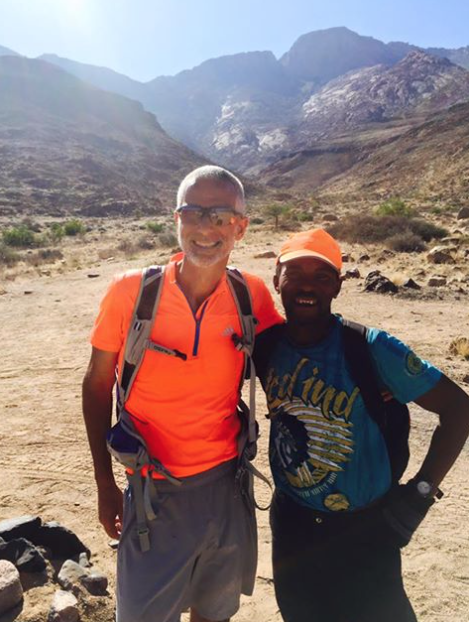 Fred set a new speed record for climbing Brandberg, the high point of Namibia, on June 29, 2015. Fred Zalokar and John Taniseb 8 hours and 6 minutes to Koningstein and back Congratulations!!! Des Erasmus – ’n Nuwe bergklimrekord is deur ’n Amerikaner, Fred Zalokar (55), opgestel. 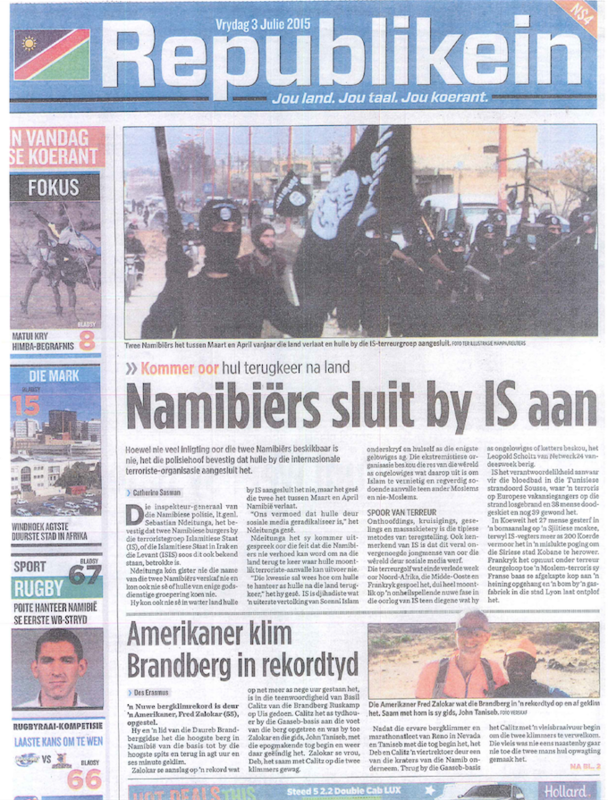 Hy en ’n lid van die Daureb Brandberggidse het die hoogste berg in Namibië van die basis tot by die hoogste spits en terug in agt uur en ses minute geklim. Zalokar se aanslag op ’n rekord wat op net meer as nege uur gestaan het, is in die teenwoordigheid van Basil Calitz van die Brandberg Ruskamp op Uis gedoen. Calitz het as tydhouer by die Gaaseb-basis aan die voet van die berg opgetree en was by toe Zalokar en die gids, John Taniseb, met die epogmakende tog begin en weer daar geëindig het. Zalokar se vrou, Deb, het saam met Calitz op die twee klimmers gewag. Nadat die ervare bergklimmer en marathonatleet van Reno in Nevada en Taniseb met die tog begin het, het Deb en Calitz ’n viertrektoer deur een van die kraters van die Namib onderneem. Terug by die Gaaseb-basis het Calitz met ’n vleisbraaivuur begin om die twee klimmers te verwelkom. Die vleis was nie eens naastenby gaar nie toe die twee mans hul opwagting gemaak het. In Reno is Zalokar bekend as ’n ultra-atleet wat op afstande van 100 km en meer konsentreer. As bergklimmer het hy reeds die hoogste spitse in 120 lande geklim. Oor die roete het hy gesê hy en Taniseb het op Königstein, die hoogste spits, nog sowat ’n halfuur gerus. Op die terugtog het hulle ook nie gejaag nie. Hy meen persoonlik dat hy tot met ’n uur op sy eie rekord kan verbeter. Die roete wat hulle gevolg het, was van Gaaseb, oor die Longi Pools (’n watergat), Wasserphalfläge tot op Königstein en toe terug. Sy verblyf op Uis vir die aanslag op die rekord het net twee dae geduur. In Amerika is Zalokar ’n swembadbouer van beroep. Reno is op sy beurt bekend as die kleinste stad in Amerika en ’n sentrum van egskeidings. Tradisioneel kos dit paartjies net ’n dag in Reno om te skei. Nadat die paartjies se weë geskei het, word hul ringe in ’n riviertjie gegooi waar delwers dit weer vir ’n inkomste herwin. I was standing in the third row of people at the start line of the 37th annual Berlin Marathon, the fastest marathon in the world. All around me, people stood hushed with anticipation, waiting silently as rain fell on them in a steady downpour. A voice came over the intercom: “Zehn sekunden.” Ten seconds. Everyone in the crowd bristled at the sound of the voice, putting their heads down and their hands on their watches. The voice spoke again: “Fünf sekunden.” Five seconds. Everyone leaned forward. A gunshot rang out, echoing over the crowd, and we were off. The course ran all along the streets of Berlin, taking participants past many of the historic points in the city. It started and finished in the Tiergarten, Berlin’s largest public park, and took runners past the Reichstag, the location of German parliament. We also passed several remnants from WWII and the Cold War, shockingly out of place in this beautiful, peaceful city. The most prominent reminders of conflict that I saw started 10K in with the Fernsehturm, a TV tower built by the Soviets during the cold war that has always been a symbol of East Berlin and the Soviet rule. I also remember coming to the Kaiser-Wilhelm Church with less than 10 kilometers to go in the race—this church was bombed by the Allied Forces during WWII. The people of Berlin chose never to rebuild it, in the hope that it would serve as a reminder of what war had done to the city. Towards the end, we ran through the Postdamer Platz, where a portion of the Berlin Wall still remained, before crossing under the historic Brandenburg Gate and sprinting to the finish. After 26.2 miles (42.195K), I finished with a time of 2 hours, 37 minutes and 3 seconds—109th overall, and 1st in the Men’s 50-54 age group. I grabbed a couple of waters and was herded back out in the direction of the course. As I watched the other runners heading in towards the finish, I cheered them on and thought about what I’d just achieved. I’d had two goals going into this race—namely, to win my age group and to run a sub-6 minute mile pace—and I’d accomplished both of them, but the training had been anything but easy. 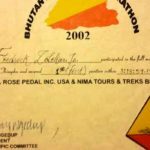 I did four major things to train for this marathon. The first, and maybe even the most important, was something that a lot of runners don’t include in their training plans: diet. When I started training, I made the decision to eat less. A lot less. I cut way back on my calories, and started eating more and more protein. With this, I started to feel stronger, healthier, and more capable of achieving the goals I’d set for myself. The second thing I worked on was distance training. I started to run, on average, 120 to 125 miles every week. Four weeks out from the race, I got my distance up to 140 miles. Three weeks out was 120. Two weeks was 100; the week before the race was 90, and I ran 50 miles the week of the marathon. This helped my endurance immensely, and I was well prepared enough that I never really hit the wall during the race. 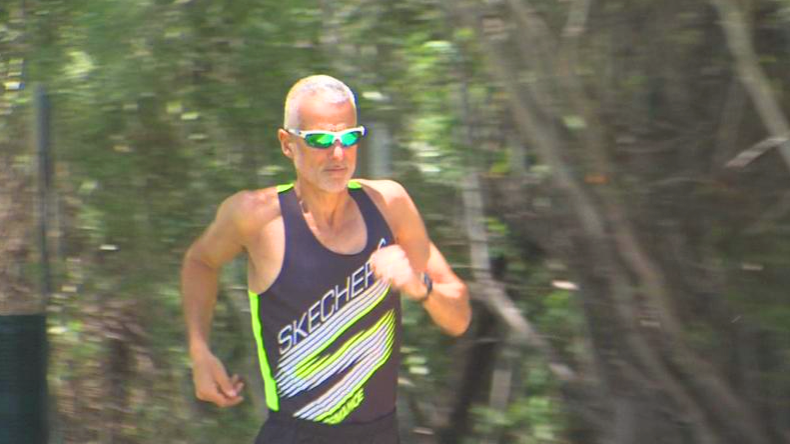 RENO, Nev. (KOLO) – Reno’s Fred Zalokar is hands down the best marathon runner of his age in the entire world. 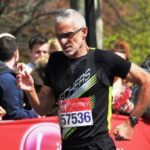 Of the six World Marathon Majors, the 55-year-old has already won five for his age group: New York, Boston, Chicago, London, and Berlin. This February, he’ll go for the sweep in Tokyo. 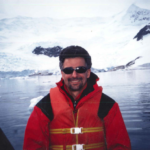 Zalokar has been the general manager of Lakeridge Tennis Club for the past thirty years. But a full-time job hasn’t slowed down his intense workout routine. 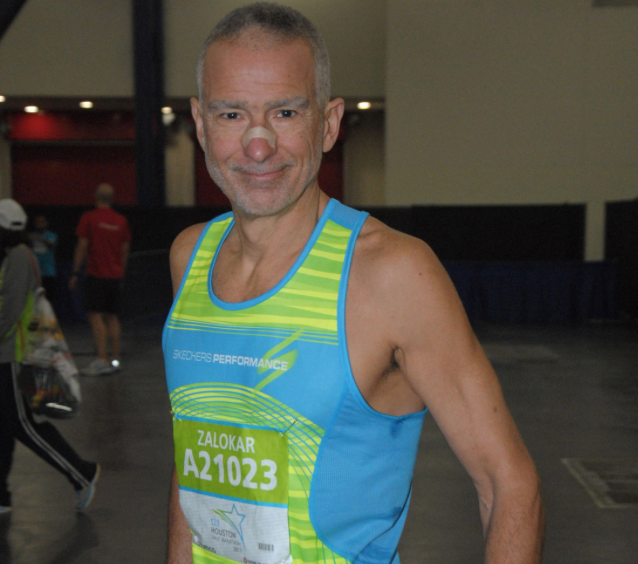 Zalokar recently gained world fame when he was featured in Runners’ World magazine. Copyright Fred Zalokar © 2019. All Rights Reserved.